Mark Carney has left interest rates unchanged since September 2010. And, in the face of higher consumer prices throughout 2011, market watchers have wondered whether or not Carney’s flexible attitude toward interest rates was the correct one. But, as the year unfolded, the dull roar from the economics community has been muted. 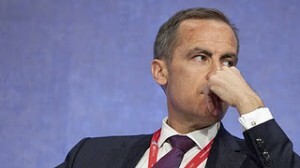 The somewhat surprising European crisis (at least in terms of its magnitude) coupled with the ailing US economy gives Mark Carney the ability to say what every Central Banker wants to say: “I told you so”. After all, Canadians would not have fared well with contractionary monetary policy in the face of a massive global recession. So how does this impact the housing market? Those who insist housing prices are over-valued usually say there is one event that will show the true colours of the market: when interest rates rise. Basically, it will reveal whether or not the “overzealous-first-time-home-buyer” types failed to consider the potential that their payments would go up when the economy returned to normal. So…it’s potentially a bad spot to be in. We can’t know whether or not Canada’s housing market is over-inflated until mortgage-holders are “tested” through an interest rate hike. And apparently that’s not going to happen until 2013. The housing market has remained resilient throughout 2011. And if 2012-2013 continues on the same trajectory then even if housing prices aren’t overvalued now, they could be at that time. The market’s resilience now will only further exacerbate the problem later– that is, if it exists to begin with.